Santa Cruz is a touchy-feely, new-agey city famous for its leftie-liberal politics and easygoing ideology. Although dogs are rarely allowed off-leash and parking meters run seven days a week. Santa Cruz is a city of fun, with a vibrant but chaotic downtown. On the waterfront is the famous beach boardwalk, and in the hills redwood groves embrace the University of California, Santa Cruz (UCSC) campus. Plan at least half a day here, but to appreciate the aesthetic of jangly skirts, crystal pendants and Rastafarian dreadlocks, stay longer and plunge headlong into the rich local brew of surfers, students, punks and eccentric characters. A visit to Santa Cruz is a vacation worth doing. Keep reading and find all the information here you need to start planning your Santa Cruz vacation. For a list of all the area beaches << Click Here >>. The best time to visit Santa Cruz is from September through November when the summer tourists have returned home, leaving a bit more room on the beaches, walking paths and other attractions. December, January and February see a slight dip in temperatures, which nonetheless are warm enough for the monarch butterflies who overwinter at Natural Bridges State Beach. The months between April and May are characterized by mounting temperatures and special events that meet their nexus in June, July and August. The best way to get around Santa Cruz is by a combination of driving and walking. Santa Cruz is far too large to get around on foot alone, but a mix of walking and driving gives you the flexibility to see the county on your own terms. The county’s public bus system is an option too, especially if you don’t want to deal with highway traffic or parking fees. Santa Cruz is 75 miles south of San Francisco via coastal Hwy 1 or Hwy 17, a nail-bitingly narrow, winding mountain road. Monterey is about an hour’s drive further south via Hwy 1. Santa Cruz Airport Shuttles runs shared shuttles to/from the airports at San Jose ($50), San Francisco ($80) and Oakland ($80), with a $5 cash discount; the second passenger pays $10. Santa Cruz Metro operates local and countywide bus routes that converge on downtown’s Metro Center. Hwy 17 express buses link Santa Cruz with San Jose’s Amtrak/CalTrain station ($5, 50 minutes, once or twice hourly). From late May through early September, the Santa Cruz Trolley shuttles between downtown and the beach from 11am until 9pm daily. This 3-mile walking and biking path offers some of the best views of the county – and it’s a great workout too. 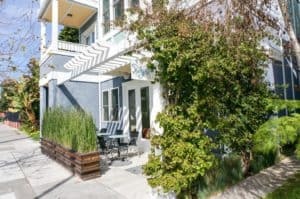 Along the way, you’ll be treated to pristine vistas of the Pacific Ocean and you might even spot some surfers riding the waves at Steamer Lane or whales and dolphins cresting the water at Lighthouse Point. You can also stop in to the Santa Cruz Surfing Museum along your stroll, which is stationed inside the Mark Abbott Memorial Lighthouse. 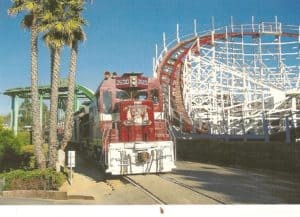 Santa Cruz Main Beach is also known as Boardwalk Beach since it stretches the length of the Santa Cruz Beach Boardwalk. In the summer, it’s one of the busiest beaches in Santa Cruz thanks to its lengthy list of amenities, including lifeguards, restrooms, nearby food options and amusement park rides and games. During other seasons, it’s a popular place to take scenic strolls. The Santa Cruz Wharf dining and shopping district sits on the water of a nearly 100-year-old wharf and features all those gifts that coworkers and family members expect you to bring back, from locally made Marini’s Candies to Made in Santa Cruz apparel. The University of California, Santa Cruz’s Seymour Marine Discovery Center is an indoor and outdoor natural science museum. The center features an aquarium, complete with tanks housing rockfish, jellyfish and even a touch pool with sharks. 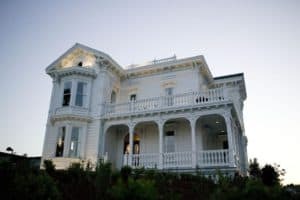 Outside, travelers can see the skeletons of a blue whale and a gray whale, as well as 45 acres of California coastal ecosystems. The same redwoods that awed passengers back in 1875 when the Roaring Camp Railroads opened are still doing so today. Roaring Camp, headquartered in Felton, California, takes visitors on train rides through the towering trees up to the summit of Bear Mountain or to Henry Cowell Redwoods State Park. Visitors can also tour the train depot’s grounds, which include an old-fashioned general store, playing fields, a stage for special events and more. Bring someone special or the whole gang for a private sail on the only classic charter boat in Santa Cruz. “Sarah” is a true classic, designed over 110 years ago built in wood and launched 2005. There are two ways to sail. You can buy tickets on one of our daily sails or charter the boat, and bring up to six. For more information call 831-325-0466 or 888-450-0667, or visit them on the web at California Classic Sail. They offer kayak rentals & kayak tours every day. Also stand up paddling classes and rentals along with wetsuits & boogie boards. Beginners and families especially welcome. See you soon! 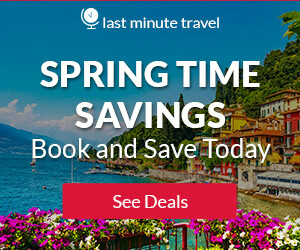 For more information call 831-479-1121 or 831-454-6999, or visit them on the web at Kayak Connection. You would like to learn how to paddle and have fun on a stand up paddle board in Santa Cruz? Covewater is the spot. Covewater Paddle Surf is the only fully dedicated stand up paddleboard (SUP) shop in Northern California. N#1 SUP shop since 2010, paddleboarding is their passion. They have the largest selection of board and they provide the best in stand-up paddling equipment & accessories, SUP classes and SUP rentals. Stand up and see the water from a whole new perspective! For more information call 831-600-7230, or visit them on the web at Covewater Stand Up Paddle. A premiere outdoor school offering surf camps, rock climbing classes, backpacking trips, mountain biking and wilderness survival skills instruction for public, private or group trips or classes. We share decades of wilderness experience while achieving our wildest adventures in the outdoors. For more information call 800-509-3954, or visit them on the web at Adventure Out. Monterey Bay’s oldest company with the newest yachts taking large and small, public and private groups on whale watching tours, family friendly deep sea fishing trips, sunset tours and much more- year round! For more information call 831-427-0230 or 800-979-3370, or visit them on the web at Stagnaro Whale Watching & Fishing Trips. Spectacular ocean and harbor views. Friendly and casual atmosphere. Fresh seafood, aged beef, shellfish, pasta and an abundant salad bar. Breakfast, lunch and dinner daily. Live music and dancing. Adjacent to beach market. A favorite since 1969. Breakfast, Lunch, Dinner, Brunch, outdoor dining, children’s menu, beer/wine, full bar, sports TV, ocean view, banquet facilities, free wifi. Open daily 7:30am – 11pm, including most holidays. Reservations welcome. For more information call 831-476-4560, or visit them on the web at Crow’s Nest Restaurant. 831-423-4545, or visit them on the web at Laili Restaurant. 1960’s Vegas meets 1950’s Waikiki. Fun & friendly service, and a tiki bar that will knock your flip flops off! Lunch, Dinner, outdoor dining, children’s menu, beer/wine, full bar, sports TV, banquet facilities, free wifi. Sun 11:30-10:00, Mon., 4:30-10:00, Tue-Thurs 11:30-10:00, Fri- 11:30-11:00, Sat. 11:30-11:00, including some holidays. Reservations welcome. For more information call 831-426-4852, or visit them on the web at Hula’s Island Grill & Tiki Room. Home of the famous “Mike’s Mess” and our special homemade oatmeal- molasses bread, “from scratch” sourdough pancakes and much more! Breakfast, Lunch, Brunch, children’s menu, beer/wine. Open Tues.-Sun. 7 am – 2:30 pm, Closed Mondays , including most holidays. reservations not accepted. For more information call 831-427-0646, or visit them on the web at Zachary’s Restaurant. Featuring contemporary California cuisine capturing the rich flavors of the Central Coast. Menu features local products. We also offer a “Pooch Patio Menu” available 7 days a week! Breakfast, lunch, dinner, outdoor dining, children’s menu, beer/wine, full bar, sports TV, ocean view, banquet facilities, free wifi. Open daily, 11am – 11pm, including some holidays. reservations recommended. For more information call 831-475-5600, or visit them on the web at Linwood’s Bar & Grill at Chaminade. Family friendly pub voted Best Beer Selection & Best Sports Bar 2014. 1/2 lb. burgers, fresh pasta and salads, fish & chips, vegetarian, kids menu, pet friendly patio, full menu till midnight Friday & Saturday. Lunch, Dinner, outdoor dining, children’s menu, beer/wine, sports TV, free wifi. Mon-Thurs: 11:30 am – 1:30 am, Fri-Sat: 11:30 am – 2 am*, Sunday: 11:30 am – 12 am**, including holidays. For more information call 831-459-9999, or visit them on the web at 999 Bottles of Beer on the Wall Restaurant & Pub. Santa Cruz’s longest running brew pub- 27 years. Award-winning hand crafted beer, plus a full bar. Large, pet friendly, heated patio dining between yacht harbor and boardwalk. Lunch, dinner, outdoor dining, children’s menu, beer/wine, full bar, sports TV, free wifi. Open daily 11:30 am – 11:30 pm, including most holidays. reservations not accepted. For more information call 831-426-2739, or visit them on the web at Seabright Brewery. Venus Spirits makes small batch whiskey, gin, aquavit and agave spirits using the highest quality organic ingredients. Visit them for a tasting or cocktail this weekend! For more information call 831-427-9673, or visit them on the web at Venus Spirits. Lupulo is a downtown gathering spot that provides a constant rotation of hard-to-get beers and a menu that focuses on Latin American and Mediterranean Tapas, pressed sandwiches, salads, and weekend brunch. Lunch, Dinner, Brunch, outdoor dining, children’s menu, beer/wine, sports TV, banquet facilities, free wifi. Mon.-Thurs. : 11:30 a.m.-10:00 p.m., Fri.: 11:30 a.m.-11:30 p.m., Sat. : 11:00 a.m.-11:30 p.m., Sun. : 11:00 a.m.-10:00 p.m., Brunch: 11:00 a.m.-3:00 p.m., including some holidays. reservations welcome for parties of 8 or more. For more information call 831-454-8306, or visit them on the web at Lupulo Craft Beer House. Old-world beer hall meets new-world wonders. With their unique self-pour tap wall sip a rich array of drinks and savor delicious food, amidst a laid-back, conversational atmosphere. With seventy taps on hand, and new selections tapped daily, they raise their glasses to the marriage of craft tradition and innovation. Their open layout and community-style redwood tables make their beer hall is the perfect place to meet an old friend or make a new one. Lunch, Dinner, beer/wine. Mon-Sat: 12:00 noon – 11 p.m., Sun: 12 noon – 7 p.m., including some holidays. reservations not accepted. For more information call 831-535-7007, or visit them on the web at Pour Taproom. Top ranked on TripAdvisor, West Cliff Inn features 10 well-appointed guest rooms, many with ocean views. All guests enjoy a full breakfast, afternoon wine & hors d’oeuvres, and bicycles to borrow. Part of Four Sisters Inns. For more information, pricing, or to reserve your room visit West Cliff Inn. Newest green inn located in Downtown Santa Cruz. Walk minutes to Downtown shops & restaurants, wharf and Boardwalk. Free parking, air conditioning and bike use. Full course breakfast. Highest ratings from guests. For more information, pricing, or to reserve your room visit Pacific Blue Inn. They want every guest to have a special experience at the Sea & Sand and enjoy their time in Santa Cruz. Their great reviews are a pretty good indication of what you can expect at their ocean-front inn. Guests appreciate the scenic location, friendly staff and complimentary amenities. For more information, pricing, or to reserve your room visit Sea & Sand Inn. Bella Notte is located two blocks from Twin Lakes State Beach, close to the Santa Cruz Yacht Harbor, the Boardwalk and Seaside Village of Capitola. Guests enjoy free parking, cable TV, Wi-fi and continental breakfast. For more information, pricing, or to reserve your room visit Bella Notte Inn. Santa Cruz’s only beachfront hotel adjacent to the beach/Boardwalk and Wharf. Every room has a private ocean-front balcony. 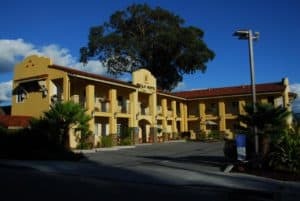 For more information, pricing, or to reserve your room visit Dream Inn Santa Cruz. I’ve heard a lot about Santa Cruz but have yet to visit there. I love everything about California and if I was ever to move from Florida (which I absolutely love) California would be the place. You present so many beautiful places to see that it would almost impossible to see them all. But Santa Cruz looks gorgeous and would be a memorable trip! On the list it goes! Maybe this September we will make this trip! September is the perfect time Rob. And being a Floridian, I would agree, that if I had to move it would be to California for sure. Thanks for reading my visit Santa Cruz California post. Fantastic article, I really enjoyed the reading! September is a great time to go an you will want to take along your summer clothes, as well as a light jacket. Also make sure you take some comfortable walking shoes. I am sure your aunt will show you a great time! You are very welcome Sarah, and I do appreciate your continued support and visits to beach travel destinations. 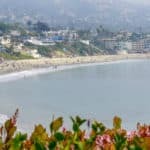 Santa Cruz and the whole area is just chock full of beautiful beaches and things to do for those who want something besides just a beach day. Oooh, that beach looks busy. For a minute I kinda felt I was already there LOL. The Marine Discovery Center. What I’m looking at right now; is that the picture of a blue whale or a gray whale? I do believe that is a blue whale 🙂 I have not been to the Marine Discovery Center yet, not sure why I didn’t stop in there. But I think if you are in the Santa Cruz area, it is a must….besides all the beautiful beaches of course 🙂 Thanks for stopping by my Visit Santa Cruz California post. We have been wanting to go to Santa Cruz, and looking for information on the internet. Glad we found your site! It’s really amazing how much detail you go into, sweet! I really love everything about the set up of your page here. Its very well organized and easy to read. The pictures are beautiful and your descriptions are great. The drone video is like the cherry on top, well done. 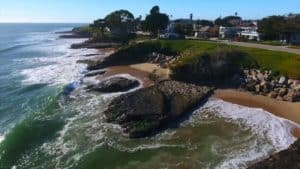 Thanks Amanda and yes the drone video does add a nice tough as you can really see the beauty in Santa Cruz. Thanks for the visit! 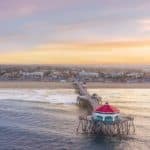 My girlfriend and I have actually been planning a Californian holiday later in there so this article was a very valuable read, absolutely everything I could think of that I would need to know prior to a trip to Santa Cruz was present in your article, very well categorized and easy on the eye. i will be checking up on your site again to see some of your new content, love your site, have a good one! Thanks so much Jack and I am glad I could help 🙂 Stop by again when you are ready to plan! Yes, kayaks and stand up paddle boards are a must! Hope you can make it to California soon. Thanks for reading Visit Santa Cruz California. Wow, thank you for such a detail post about Santa Cruz, CA. I have hear that the beach in CA are beautiful but this area on your list is breathtaking. The information provide on places to visit, things to do, area to enjoy and activities available is really is outstanding. Makes me want to make arrangements right now, but unfortunately funds at the moment are short but I will certainly be ready for the coming after Aug 2019. I usually travel alone. So my question is do you know if their any available packages for “solo” travelers? I do not drive so know that public transportation is available is good to know! Lately I have been thinking of seeing more of the USA since most of my travels have been outside of the USA. Staring with California sound like a good idea and it will give me time to set everything up. I will certainly book mark your website and give it a more in depth look and read some of your other posts. You are very welcome Esther. I hope you can visit beautiful California soon! Please let me know if you need any additional information, and thanks for the visit! I really enjoyed this article. You really pained a great picture of Santa Cruz. If I had the money and my wife was not so nervous flying I would really love to visit. 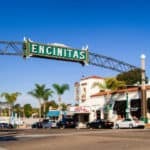 I heard from people about Santa Cruz but from what I had heard I always thought that it was a place for young people but after reading this article I can see that this place has so much to offer. Yes David, Santa Cruz does have so much to offer and for any age group. It is a wonderful coastal community. I hope maybe one day you can take a vacation here and experience this great part of California. Thanks for visiting! Really very informative article on Santa Cruz California. You have given every detail about the Santa Cruz and all the main places which visitor can enjoy. It seems to be a great place to visit, as it has a number of places which can be enjoyed by everyone, from adventure to site seeing. 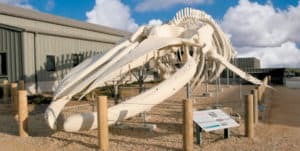 Santa Cruz’s Seymour Marine Discovery Center should be a very interesting place, giant skeletons of a blue whale and gray whale is really amazing. Love the way you finish off the article by adding the beautiful video of Santa Cruz. Thank you so much Shubhangi. I am glad you enjoyed your digital visit to Santa Cruz. 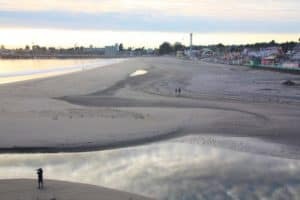 Thank you for sharing with us this great post on Santa Cruz California visit.I like the way this beach looks because it makes me want to go to a vacation. I have a friend who lives in California and she always tells me how beautiful it is and I don’t doubt on this after reading this post. Your friend is right, California really is beautiful and if you love beach travel, then this is one of the places in the USA you have to visit. Of Course Florida is high on my list as well. Thanks for reading my visit Santa Cruz California post. Looks like Sta Cruz is an amazing place! I haven’t been to this part of California. I appreciate you’ve been detailed from where to stay and what to do. And all the pictures and the video looks amazing. I think we’ll book our next holiday there. Thanks for posting this article. Great Hanna, you will love Santa Cruz. Wonderful area for sure. Please let me know if you need any additional information, and thanks for the visit. 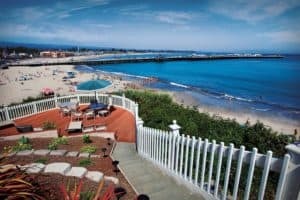 Santa Cruz California is no doubt a beautiful city with so many things to do I have always wanted to go California for scuba diving and I have been planning my vacation based on just that but this post has given me more than one reason to visit Santa Cruz California. Thanks for this I wish to start packing awaiting my vacation to California. You are very welcome Seun! Please let me know if you need any additional information. I would be glad to help you plan. You’ve Just created a wonderful scene of Santa Cruz in my mind, now I’ve have to think of a vacation. Well detailed article, thank you for this piece but the highway and parking fees shouldn’t affect tourist? What do you feel? Santa Cruz California should be a place I’ll love to go one of these days. I don’t worry about parking fees or the highway 🙂 I have that all here where I live, but having access to the beach is worth it! Thanks for reading my Visit Santa Cruz California review. Too funny Diane! Take him to the Craft Beer House and then on the sunset cruise! That way you are both happy. thanks for the visit. Great and highly descriptive post, I found your description of Santa Cruz city very exciting and nice. How about the expenses? Is it safe for family vacation? And how often can one meet strangers from other part of The world ?I am really considering this wonderful city for my next vacation. Thank you. This is a great place to take a family Clement. And yes, you will find a wide variety of people and travelers to this area, so there will be no shortage of that. Thanks for reading Visit Santa Cruz California. Thanks for this great post! I’ve been to Santa Cruz only once in my life (I’m 42). The sad part is, it’s not that far from where I live near Sacramento. We hit the beach and the wharf (man the food is awesome there) but I haven’t really seen Santa Cruz. I’d love to try out the Roaring Camp Railroads. I bet that’d be a fun excursion. Have you been to Fort Bragg and taken the Skunk Train? I wonder if it’s anything like that. I enjoyed it a lot. Thanks again, I’m overdue for a trip. Maybe Santa Cruz is a spot for me to hit again. Oh wow! You do live close! Yes, the food is awesome, I will agree 🙂 Besides a good beach, I love good food 🙂 I have not been on the Skunk Train. I guess I didn’t have enough time the last time we drove thru there. 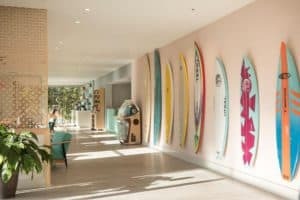 Hi Leahrae – great post about visiting Santa Cruz, makes me want to catch a flight, get out of the snow, and head there right now. You have provided so much information about what to see and do. What restaurants to go to and what hotels to stay in. 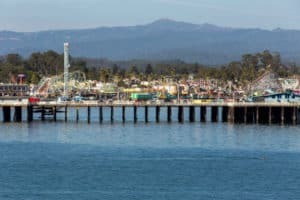 This article is a great resource for anyone who is planning a trip to Santa Cruz. Thank you Michele and I am glad you enjoyed! The Santa Cruz main beach looks absolutely stunning, seems it’s a great beach to visit all year round. Santa Cruz looks like it’s a must place to holiday, so much to do, your list of activities seems endless. I must admit it was not a place to visit on my bucket list but it is now!! 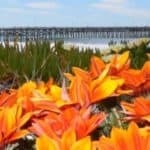 The whole Santa Cruz area is just beautiful with so many beach options, if you love beach travel that is. But, besides the wonderful beaches there is a great atmosphere, great food, and so much to see and do. Thanks for the visit Dianne.